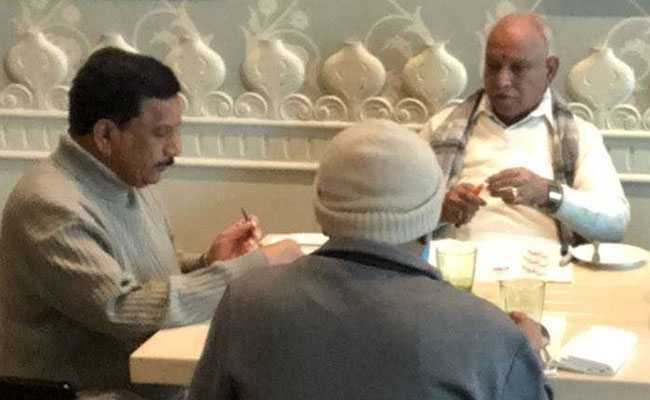 Over 100 Karnataka BJP lawmakers who flew to Delhi over the weekend are staying in a Gurugram 5-star resort. The official reason for the break is not known. The leaders were flown to Delhi on the weekend, when the BJP had a two-day leadership conclave. Now 104 legislators have virtually taken over the entire resort, occupying 60 of its 100-odd rooms. The rooms cost Rs. 30,000 each, though it is not known whether they paid this or were given a discount. Hotel insiders say since they arrived, the police have placed extra layers of security, which means hardly any other guests are left. BS Yeddyurappa told NDTV yesterday, was a boot camp before the national election due by May. In a jolt to the seven-month-old Janata Dal Secular-Congress coalition in Karnataka two independent lawmakers H Nagesh and R Shankar withdrew support from the ruling state government.